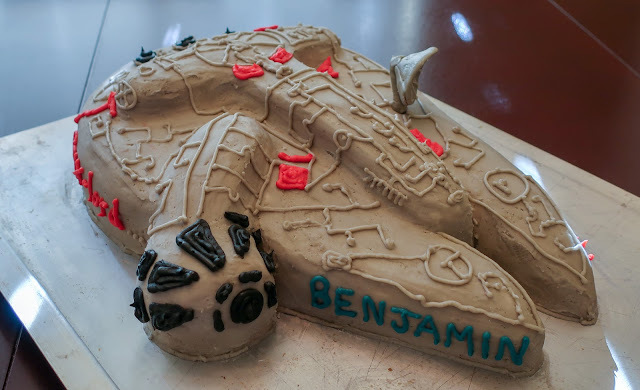 This year Benjamin wanted a Star Wars cake. 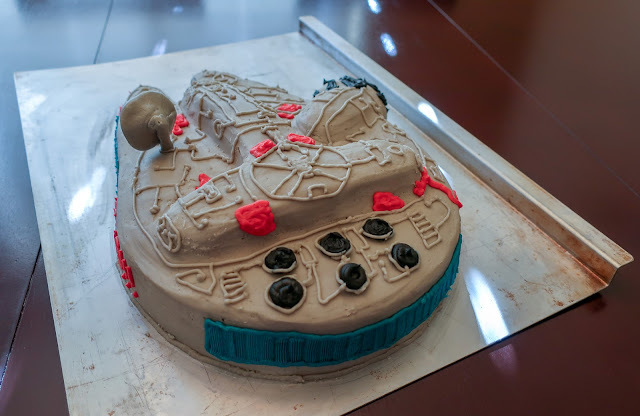 More specifically, he wanted a reprise of rainbow Darth Vader cake from his fourth birthday, but my cake stuff is still packed away so instead he settled on a Millennium Falcon cake. 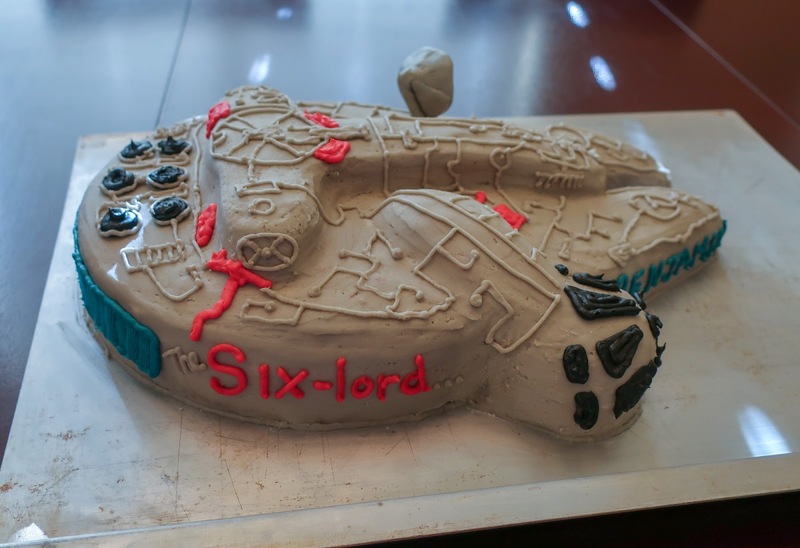 Andrew assured me it would be super easy—"It's just a circle with two points sticking out," he said, ignoring the finer details of the cake. 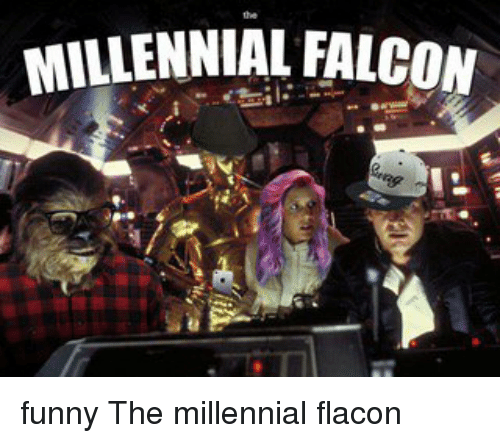 I keep calling it the Millennial Falcon just to make her roll her eyes at me and moan, "Moooooom!" 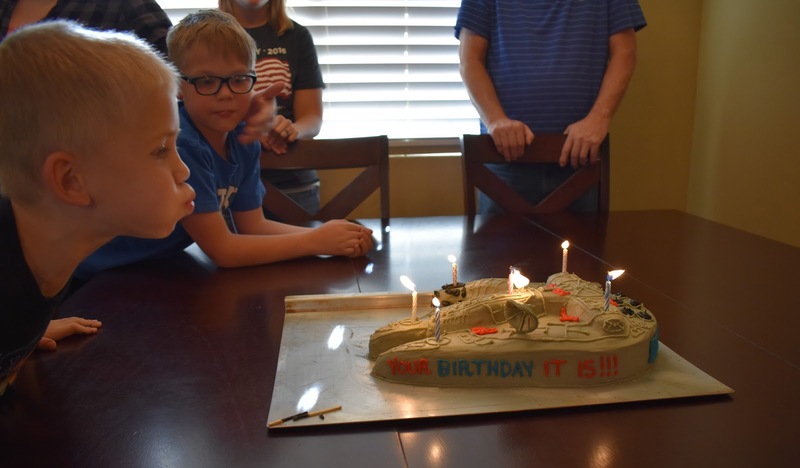 in that exasperated way only a preteen can manage. That big blue part is the engine, apparently, not a window (this is not the Enterprise). I would like the record to show that I knew this before Rachel knew it (so take that, Rachel). 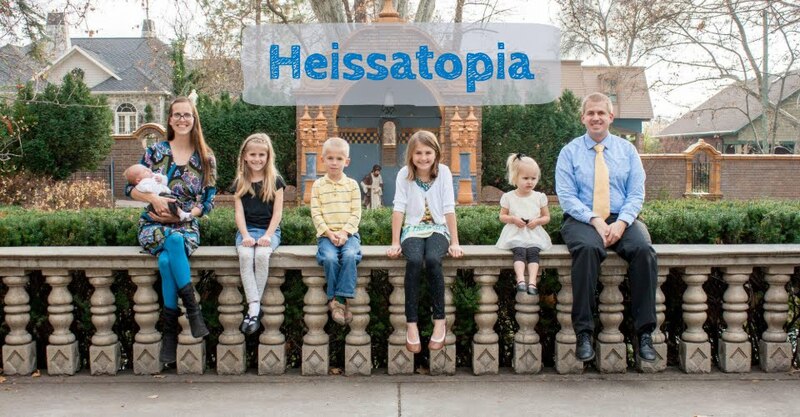 Of course, she's only 10 and I'm in my 30s. But still, I got to be the one to point it out to her (but only because Andrew corrected me when I called it a window mere hours before). Benjamin was rather pleased with it and I must admit it turned out better than I'd thought it would (considering one of those pointy things is probably 50% frosting because I could not get the cake to keep its shape (crumb-coating this thing was a beastly experience)). This time it's all buttercream, except for the, uh, rectenna (the "rectifying antenna" or radar dish). That is made out of leftover Llama Llama fondant. 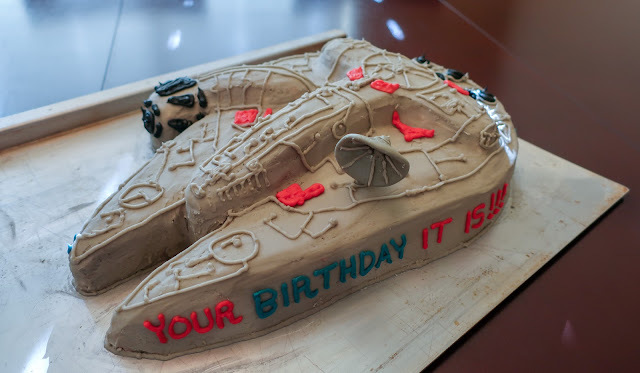 Everyone was a little surprised when we sliced into it to reveal pink cake—strawberry, a very popular flavour at our house. There was plenty for everyone this time around because I doubled it (there's even leftovers in the fridge)!